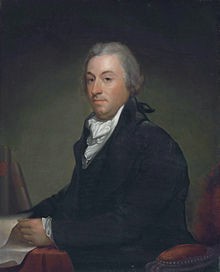 possession of New Orleans…we must marry ourselves to the British fleet and nation.” Livingston was ordered to negotiate with French minister Charles Maurice de Talleyrand for the purchase of New Orleans. James Monroe to Paris to aid Livingston in the New Orleans purchase talks. On April 11, 1803, the day before Monroe’s arrival, Talleyrand asked a surprised Livingston what the United States would give for all of Louisiana Territory. 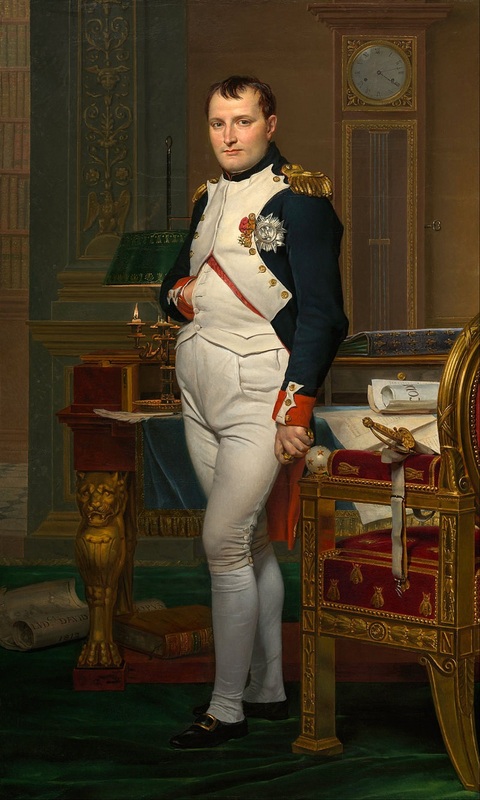 It is believed that the failure of France to put down a slave revolution in Haiti, the impending war with Great Britain and probable Royal Navy blockade of France, and financial difficulties may all have prompted Napoleon to offer Louisiana for sale to the United States. Negotiations moved swiftly, and at the end of April the U.S. envoys had agreed on the cost of the purchase. The new United States agreed to pay $11,250,000 (or $179,195, 378.35 in 2015 dollars) and assumed all claims of its citizens against France in the amount of $3,750,000 (or $ 59,731,792.78 in 2015 dollars). In exchange, the United States acquired the vast domain of Louisiana Territory, some 828,000 square miles of land (at a cost of $288.56 in 2015 dollars per square mile). In October, Congress ratified the purchase, and in December 1803 France formally transferred authority over the region to the United States. 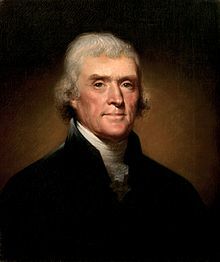 The acquisition of the Louisiana Territory for the bargain price of less than three cents an acre was Thomas Jefferson’s most notable achievement as president. American expansion westward into the new lands began immediately, and in 1804 a territorial government was established. On April 30, 1812, exactly nine years after the Louisiana Purchase agreement was made, the first of 13 states to be carved from the territory–Louisiana–was admitted into the Union as the 18th U.S. state. Union troops officially take possession of New Orleans, today in 1862, completing the occupation that had begun four days earlier. The capture of this vital southern city was a huge blow to the Confederacy. Southern military strategists planned for a Union attack down the Mississippi, not from the Gulf of Mexico. In early 1862, the Confederates concentrated their forces in northern Mississippi and western Tennessee to stave off the Yankee invasion. Many of these troops fought at Shiloh in Tennessee on April 6 and 7. Eight Rebel gunboats were dispatched up the great river to stop a Union flotilla above Memphis, leaving only 3,000 militia, two uncompleted ironclads, and a few steamboats to defend New Orleans. The most imposing obstacles for the Union were two forts, Jackson and St. Phillip. 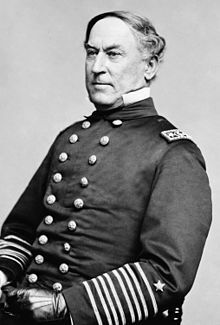 In the middle of the night of April 24, Admiral David Farragut led a fleet of 24 gunboats, 19 mortar boats, and 15,000 soldiers in a daring run past the forts. Now, the river was open to New Orleans except for the ragtag Confederate fleet. The mighty Union armada plowed right through, sinking eight ships. At New Orleans, Confederate General Mansfield Lovell surveyed his tiny force and realized that resistance was futile. If he resisted, Lovell told Mayor John Monroe, Farragut would bombard the city and inflict severe damage and casualties. Lovell pulled his troops out of New Orleans and the Yankees began arriving on April 25. The troops could not land until Forts Jackson and St. Phillip were secured. They surrendered on April 29, and now New Orleans had no protection. Crowds cursed the Yankees as all Confederate flags in the city were lowered and stars and stripes were raised in their place. The Confederacy lost a major city, and the lower Mississippi soon became a Union highway for 400 miles to Vicksburg, Mississippi. This is a busy day in frontier history, as it is marked by eight different events of varied significance between the years 1869 and 1897. Today in 1869, the beginning of the final track in the first great transcontinental railroad is laid in a most dramatic fashion by the Central Pacific Railroad. Beginning 14 miles outside of Promontory Point, Utah at 7:00am, a crew of Chinese workers backed by eight husky rail carriers attempts to lay ten miles of track in one day, an fantastic feat. Before the sun sets on this day, they have laid 10 miles and fifty-six feet of track, a total of 3,520 rails. Each rail handler has carried 25,800 ties, weighing a quarter of a million pounds. 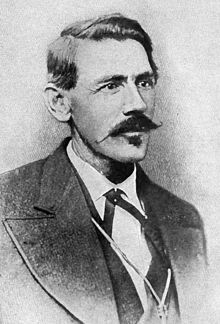 Just nine years later, today in 1878 the Seven Rivers Warriors pulls together under Marion Turner and John Jones for the purpose of fighting legendary rancher, John Chisum. On their ride to Lincoln, the gang kills Frank McNab and shoots Ab Sanders, while capturing Frank Coe. This is happening during what will become known as the Lincoln County War. 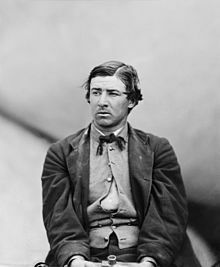 One of the West’s most enduring legends will grow out of this war, on the shirttails of a 19 year old youngster named Henry Antrim. Three years later, on this very day in 1881, this same Henry Antrim is being held in jail for the murder of several men. The sheriff of the county is out of town. Shopping for wood for a gallows, when Henry, or Billy The Kid, as he is now known, breaks jail with the help of an unknown accomplice who has hidden a gun in the outhouse. Billy talked Deputy J. W. Bell into taking him to the privy so he could do his business, and when he came out, he had the gun. On the steps back upstairs to where he was being kept, Billy broke free and killed Deputy Bell with one shot. Running up the rest of the stairs, he picked up Deputy Bob Olinger’s shotgun, the very same shotgun loaded with the dimes Deputy Olinger had threatened to fill Billy with. He then opened up a window and after taunting Olinger with it, he shot Olinger with his own loads, killing him too. He then makes his getaway in a very leisurely fashion after stealing a horse, which he returns later. The sheriff is very determined to catch him and redeem his credibility after this. Patrick Floyd Garrett – he shot Billy The Kid — or did he? When Sheriff Patrick Floyd Garrett does catch up with his former friend, he inadvertently helps create the legend when he shoots him in the dark while Billy is unarmed. 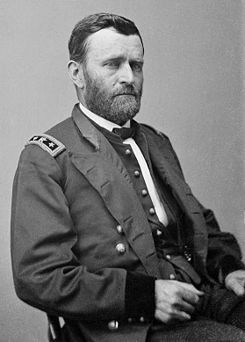 Hiram Ulysses Grant, but more commonly known as Ulysses S. Grant, Civil War leader and 18th president of the United States, is born on this day in 1822. 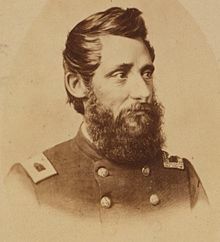 The son of a tanner, Grant showed little enthusiasm for joining his father’s business, so the elder Grant enrolled his son at West Point in 1839. It was in the process of joining West Point that his name was changed by accident, and he never bothered to correct it. Though Grant later admitted in his memoirs he had no interest in the military apart from honing his equestrian skills, he graduated in 1843 and went on to serve in the Mexican-American War, though he opposed it on moral grounds. He then left his beloved wife and children again to fulfill a tour of duty in California and Oregon. The loneliness and sheer boredom of duty in the West drove Grant to binge drinking. By 1854, Grant’s alcohol consumption so alarmed his superiors that he was asked to resign from the army. He did, and returned to Ohio to try his hand at farming and land speculation. Although he kicked the alcohol habit, he failed miserably at both vocations and was forced to take a job as a clerk in his father’s tanning business. In 1863, after leading a Union Army to victory at Vicksburg, Grant caught President Lincoln’s attention. The Union Army had suffered under the service of a series of incompetent generals and Lincoln was in the market for a new Union supreme commander. In March 1864, Lincoln revived the rank of lieutenant general—a rank that had previously been held only by George Washington in 1798–and gave it to Grant. 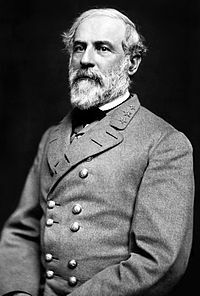 As supreme commander of Union forces, Grant led a series of epic and bloody battles against the wily Confederate General Robert E. Lee. It all came to an end, however, on April 9, 1865, when Lee surrendered to Grant at Appomattox Court House, Virginia. As a side note, Lee would never tolerate anyone saying anything negative about Grant after this because of the magnanimity of his surrender terms. The victory solidified Grant’s status as national hero and, in 1868, he was elected to the first of two terms as president. 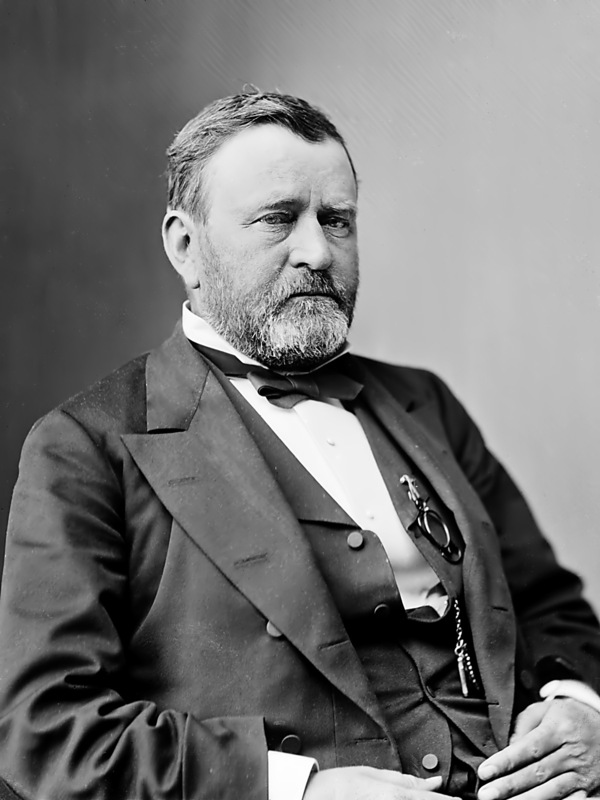 Grant’s talent as a political leader paled woefully in comparison to his military prowess. He was un-able to stem the rampant corruption of his administration and failed to combat a severe economic depression in 1873. There were bright spots in Grant’s tenure, however, including the passage of the Enforcement Act in 1870, which temporarily curtailed the political influence of the Ku Klux Klan in the post-Civil War South, and the 1875 Civil Rights Act, which attempted to desegregate public places such as restrooms, inns, public conveyances on land or water, theaters, and other places of public amusement. 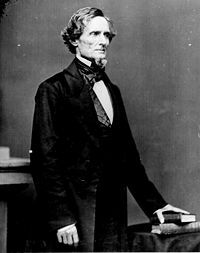 In addition, Grant helped heal U.S. and British diplomatic relations, despite the fact that Britain had offered to supply the Confederate Army with the tools to break the Union naval blockade during the Civil War. He also managed to stay sober during his two terms in office. Upon leaving office, Grant’s fortunes again declined. He and his wife Julia traveled to Europe be-tween 1877 and 1879 amid great fanfare, but the couple came home to bankruptcy caused by Grant’s unwise investment in a scandal-prone banking firm. 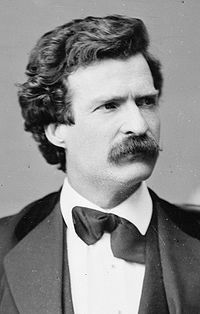 Grant spent the last few years of his life writing a detailed account of the Civil War, urged on by his good friend, Mark Twain. He held off death by sheer will, the same sheer will that drove him to success in the war, until he deemed them completed and then died of throat cancer the same day, in 1885. Julia managed to scrape by on the royalties earned from his memoirs and a pension given her by Congress as the widow of a President. John Wilkes Booth is killed today, in 1865, when Union soldiers track him down to a Virginia farm 12 days after he assassinated President Abraham Lincoln. 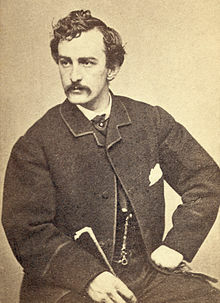 Twenty-six-year-old Booth was one of the most famous actors in the country when he shot Lincoln during a performance at Ford’s Theater in Washington, D.C., on the night of April 14. Booth was a Maryland native and a strong supporter of the Confederacy. As the war entered its final stages, Booth hatched a conspiracy to kidnap the president. He enlisted the aid of several associates, but the opportunity never presented itself. 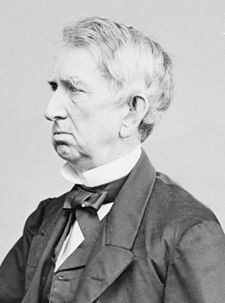 and Secretary of State William Seward. Only Lincoln was actually killed, however. 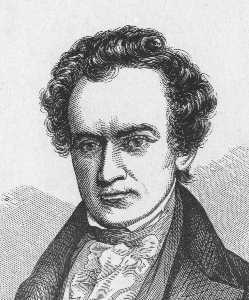 Seward was stabbed by Lewis Paine but miraculously, he survived with multiple injuries and damage, while the man assigned to kill Johnson did not carry out his assignment. After shooting Lincoln, Booth jumped to the stage below Lincoln’s box seat. He landed hard, breaking his leg, before escaping to a waiting horse behind the theater. Many in the audience recognized Booth, so the army was soon hot on his trail. Maryland. The pair stopped at Dr. Samuel Mudd‘s home, and Mudd treated Booth’s leg. This earned Mudd a life sentence in prison when he was implicated as part of the conspiracy, but the sentence was later commuted. 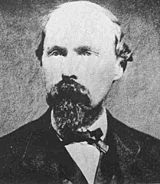 It also led to Dr. Mudd’s name going down in history as the originator of the phrase, “your name is mud” to denote someone as a scapegoat.nd refuge for several days at the home of Thomas A. Jones, a Confederate agent, before securing a boat to row across the Potomac to Virginia. Booth found refuge for several days at the home of Thomas A. Jones, a Confederate agent, before securing a boat to row across the Potomac to Virginia. After receiving aid from several Confederate sympathizers, Booth’s luck finally ran out. The countryside was swarming with military units looking for Booth, although few shared information since there was a $20,000 reward. While staying at the farm of Richard Garrett, Federal troops arrived on their search but soon rode on. The unsuspecting Garrett allowed his suspicious guests to sleep in his barn, but he instructed his son to lock the barn from the outside to prevent the strangers from stealing his horses. A tip led the Union soldiers back to the Garrett farm, where they discovered Booth and Herold in the barn. Herold came out, but Booth refused. The building was set on fire to flush Booth, but he was reportedly shot by trooper Thomas P. “Boston” Corbett while still inside. 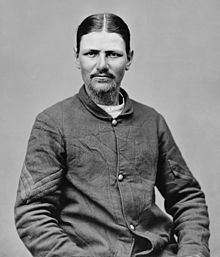 Boston Corbett, the soldier who is said to have shot John Wilkes Booth through the slats of a burning barn. He lived for three hours before gazing at his hands, muttering “Useless, useless,” as he died. movies celebrating Davy Crockett. It stars James Hackett as a parody of Davy, a character called Nimrod Wildfire. Born in 1786 in Tennessee, Crockett grew up in a poor family that hired him out as a cattle drover at age 12. 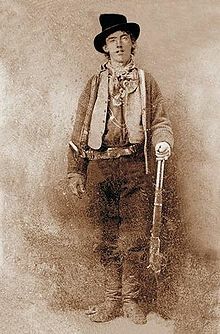 He eventually settled in middle Tennessee, where he became famous for his skill as a professional hunter. The Tennessee forests of were still filled with game at that time, and Crockett once killed 105 bears in a single season. 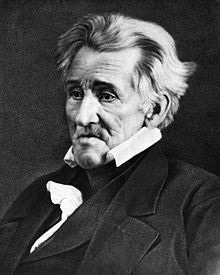 After a stint fighting Indians with future president, Andrew Jackson, Crockett began a career in politics, eventually becoming a Tennessee state representative in 1821. As a state legislator, Crockett was a strong advocate for the rights of squatters who were claiming land on the frontier without legal permission. At the same time, the political fortunes of his old commander, Andrew Jackson, were on the rise. When Jackson became president in 1828, he pointed to Crockett as a symbol of the frontier values and spirit he believed should be adopted throughout the nation. Politics alone, however, would not have ensured Crockett’s enduring status as an American hero. For that, only the 19th-century version of Hollywood would be adequate. In 1831, the play The Lion of the West opened at New York City’s Park Theater. Starring the popular actor James Hackett as a legendary frontiersman named Colonel Nimrod Wildfire, the play was a thinly disguised and highly exaggerated account of Crockett’s life. Two years later, the play was followed by an equally larger-than-life biography, Sketches and Eccentricities of Colonel David Crockett of West Tennessee. After Crockett died at the Alamo in 1836, along with fellow frontiersman James Bowie, William Barrett Travis and nearly two hundred other volunteers, his posthumous transformation from mortal man to mythic martyr was almost inevitable. 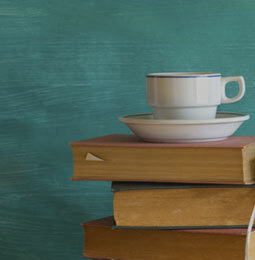 A bogus 1836 autobiography portrayed him as an American Hercules and established many of the tall tales that would remain forever associated with his name. In the 20th century, Crockett’s fame waned for a time, but Walt Disney revived the legend. In 1954, Disney began producing a series of movies and television programs featuring the actor Fess Parker as Crockett. The series was a ratings blockbuster, and it led to the largest media-generated commercial craze up until that time. 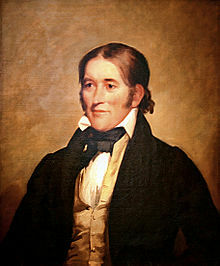 Children all across America clamored for coonskin caps, powder horns, books, and records so that they could be just like their idol, Davy Crockett. 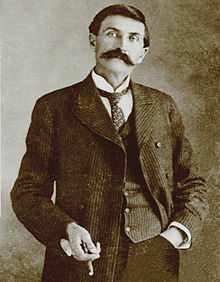 Today in 1851, Morgan Seth Earp, younger brother of Wyatt, Virgil and James Earp, is born. His picture is often confused with that of his older brother Wyatt, as they looked remarkably alike. He does follow his brothers into a career in law enforcement, often working beside one or both of his two older brothers. Morgan is not of the same cool headed and even tempered disposition as his two famous brothers, Wyatt and Virgil, Morgan being more emotionally compatible with one of his older brother Wyatt’s best friends. The trait he does share with his brothers is that of family loyalty. Hurt one, you invite an attack by all of them. 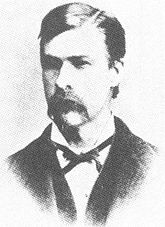 This unquestioned and unflinching loyalty, along with his quick fire temper, will lead to his death in thirty years, in Campbell & Hatch’s Billiard Parlor, when he is shot in the back, just a month before his 31st birthday. This comes as an aftermath of the most famous gunfight in the frontier, that took place in a vacant lot beside a corral in the booming mining town of Tombstone, Arizona. 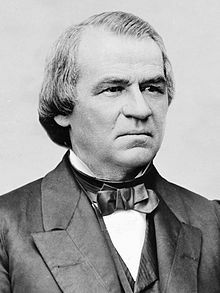 The Davis’ were reunited a few days later as the president continued to flee and continue the fight for Southern independence, but it was just not to be. Two weeks later, Union troops finally captured the Confederate president in northern Georgia. Davis was charged with treason, and put in prison in a casemate at Fortress Monroe, on the coast of Virginia, on May 19, 1865. He was placed in irons for three days. Davis was indicted for treason a year later. but he was never tried. After two years of imprisonment, Davis was released on bail of $100,000 (which would be $1,563,464.44 in 2015), which was posted by prominent citizens of both Northern and Southern states, including Horace Greeley, Cornelius Vanderbilt and Gerrit Smith. he died at age 81 in 1889. Confederate stronghold on the Mississippi River. Grant had his army on the western shore of the river, but he was planning to cross the mighty river south of Vicksburg, and move against Vicksburg from the west. Grierson’s orders were to destroy enemy supplies, telegraph lines, and railroads in Mississippi. Grierson crafted a brilliant campaign. 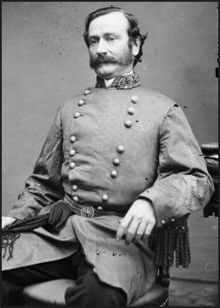 He left La Grange, Tennessee, on April 17 with 1,700 cavalry troopers and began traveling down the eastern side of the state. Whenever Confederate cavalry approached, Grierson sent out a diversionary force to draw them away. The diversionary units then rode back to La Grange, while the main force continued south. On April 22, he dispatched Company B of the 7th Illinois regiment to destroy telegraph lines at Macon, Mississippi, while Grierson rode to Newton Station. Here, Grierson could inflict damage on the Southern Mississippi Railroad, the one specific target identified by Grant. On April 24, his men tore up the tracks and destroyed two trainloads of ammunition bound for Vicksburg. On May 2, Grierson and his men rode into Union occupied Baton Rouge, Louisiana, ending one of the most spectacular raids of the war. The Yankees killed about 100 Confederates, took 500 prisoners, destroyed 50 miles of rail line, and destroyed hundreds of thousands of dollars of supplies and property. Grierson lost just 3 men killed, 7 wounded, 14 missing. More important, the raiders drew the attention of Confederate troops in Mississippi and weakened the forces at Vicksburg and Port Hudson, Louisiana. Both strongholds fell to the Union in July 1863. For his efforts, Grierson was promoted to brigadier general. During the Texan War for Independence, the Texas militia under Sam Houston launches a surprise attack against the forces of Mexican Antonio Lopez de Santa Anna along the San Jacinto River. 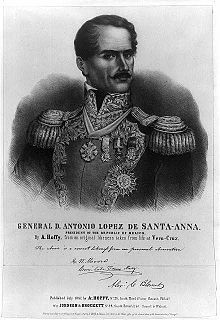 The Mexicans were thoroughly routed, and hundreds were taken prisoner, including General Santa Anna himself. army was forced into an eastern retreat, and the Alamo fell. However, in late April, Houston’s army surprised a Mexican force at San Jacinto, and Santa Anna was captured, bringing an end to Mexico’s effort to subdue Texas. In exchange for his freedom, Santa Anna recognized Texas’s independence; although the treaty was later abrogated and tensions built up along the Texas-Mexico border. The citizens of the so-called Lone Star Republic elected Sam Houston as president and endorsed the entrance of Texas into the United States. However, the likelihood of Texas joining the Union as a slave state delayed any formal action by the U.S. Congress for more than a decade. 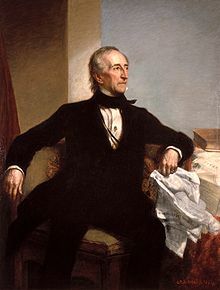 Finally, in 1845, President John Tyler orchestrated a compromise in which Texas would join the United States as a slave state. On December 29, 1845, Texas entered the United States as the 28th state, broadening the irrepressible differences in the U.S. over the issue of slavery and igniting the Mexican-American War. 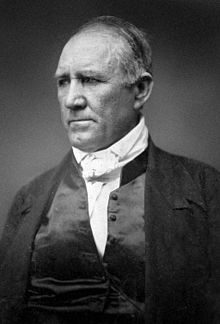 When Texas seceded from the Union to join the Confederacy, Sam Houston resigned as governor in protest.